Learn more about your energy efficient roofing options and the associated costs with this guide. The Federal Trade Commission reports that nearly fifty percent of the average homeowner's utility costs go towards cooling and heating their home. Energy efficient roofing can help you to reduce the payments on these energy bills. Energy-efficient roofs are designed to reflect light and repel heat, keeping your house insulated from warm outdoor temperatures with minimal damage to both the environment and your wallet! There are several different types of energy-efficient roofing. The one you choose should most importantly depend on the climate in which you live. Aluminum and steel roofs are durable and fire resistant. They do the best job of reflecting away sunlight and keeping the heat out of your home. Giving your roof a protective coat of a cool-tone color coating is also an easy way of boosting its efficiency. Clay or slate tiles have been known to increase your roof's efficiency. Recycled shingles and spray-on polyurethane foam roofing is also a good idea. Most of the traditional roofing types that are used today are only able to absorb between 85 and 95 percent of light and heat. Energy-efficient roofing materials including Energy Star roofs can reflect 65 percent or more, making a drastic difference in the temperature of your home. In addition, cool-color tiles can usually reflect 25 to 70 percent of light and heat while cool-color metal roofing reflects between 20 and 90 percent. Giving your existing roof a quick, light-color coating can also reduce its temperature by 50 to 80 degrees - which is well worth it. Your area's climate is also a big factor to consider when choosing energy-efficient roofing. 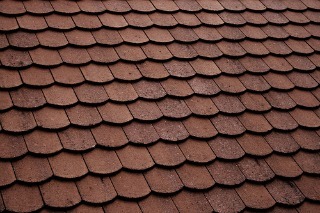 For example, While clay tiles can do a good job of insulating your home, tiles can easily shatter when hit by hail and are recommended for homes located in very warm climates. Shingles are the common choice for most homes, but they are not the best choice for the environment since they contain toxic chemicals. If you choose to use shingles, make sure to use sustainable roofing by way of reclaimed and recycled materials, to help reduce waste. If you live in a warm or subtropical climate, invest in the best energy-efficient roofing materials you can afford - metal or tile roofing prices will vary. They will usually cost two to three times the amount you would spend on traditional asphalt shingles, however you will see a return on that investment in no time. A professional roofing contractor will be able to take a look at your existing roof and give you a firm estimate of the costs and the best type of roofing to suit you and your home. When you are ready to make a move, use QualitySmith to find a qualified roofing contractor in your local area who can give you a firm roofing cost and recommend the best roofing brands. A good contractor who specializes in residential roofing will be able to perform any necessary roof repair. They can also often give you a free roofing estimate before doing the install. You and your contractor can also discuss the type of roofing warranty that comes with the job.